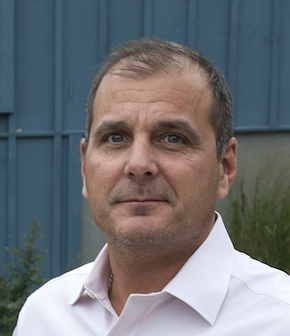 Peter Rotelle, Rotelle Studio(E), South Coventry, Pa. 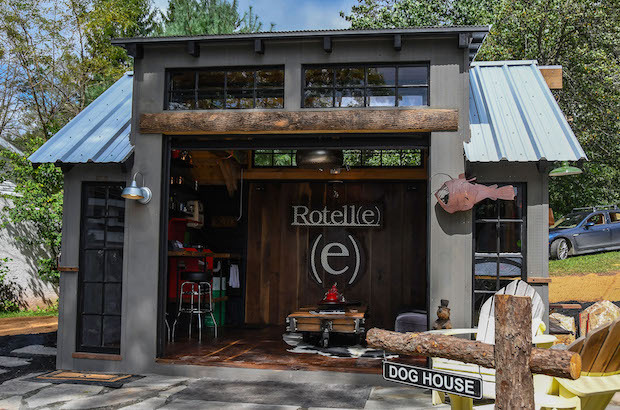 The men and women of Rotelle Studio(e) duked it out in the backyard with the ultimate battle of the sheds. 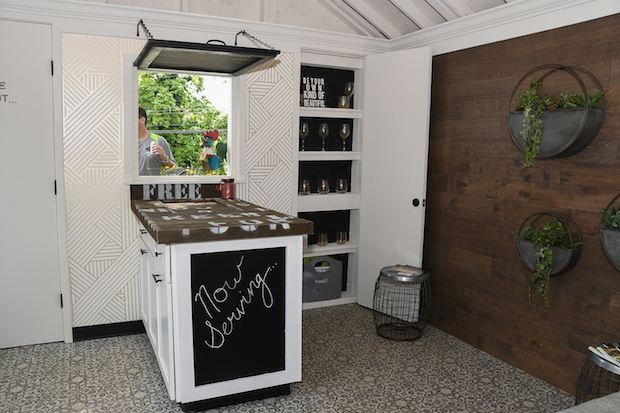 Our He vs. She Shed Shindig design competition, inspired by the trend in tiny homes and the reimagined shed as the new backyard getaway, incorporated creative, off-the-hook design, social engagement, celebrity power (Ty Pennington was on hand for the big reveal), and a video series that chronicled the competition from start to finish. 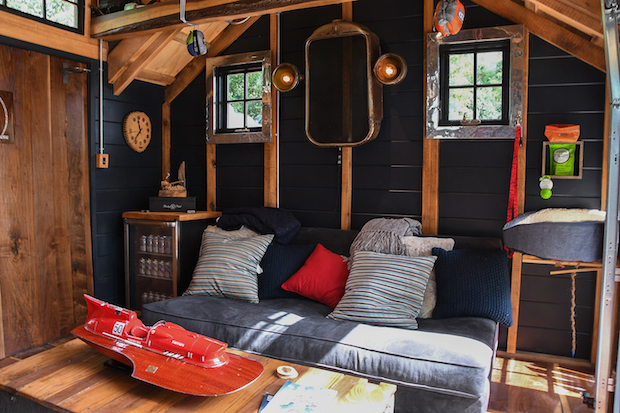 The He Shed was built from raw lumber and features a back wall that drops to create a deck. Other gems include repurposed antique finds, such as an old gas pump converted into a faucet and a wall lighting fixture made from the headlights and grille of an old Ford pickup truck. A tool chest was repurposed as a coffee and bar station. 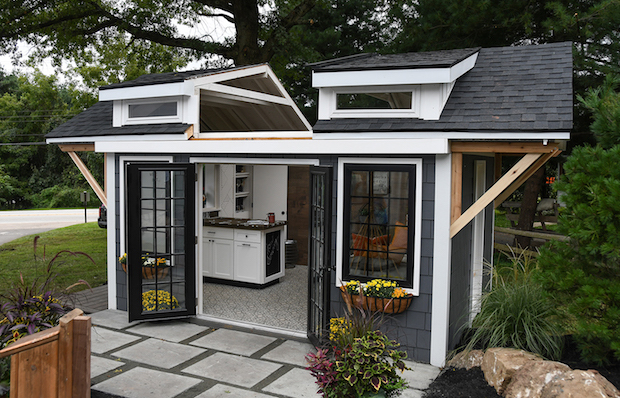 The She Shed’s signature wow factor is a retractable roof that opens to allow light and air into the chicly designed space, in addition to providing cover over a side deck. Clever built-ins allow for discreet wall storage, and the serving counter hides a cooler. 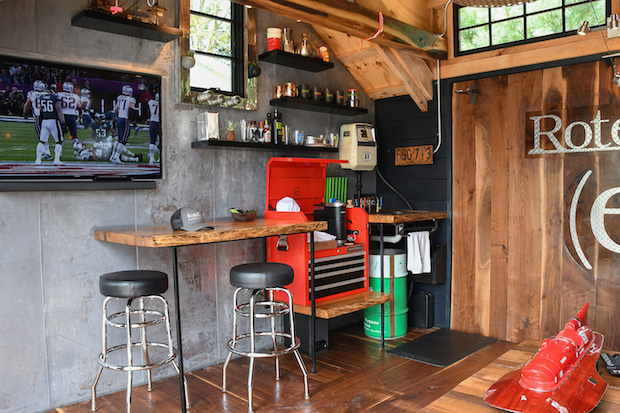 This story originally appeared in the Spring 2019 issue of Custom Builder. See the print version here. 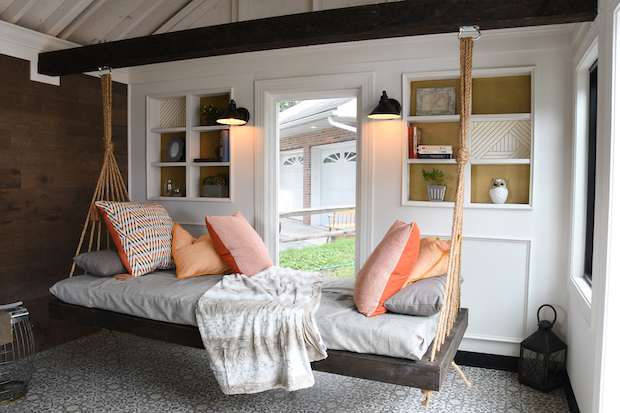 Comments on: "Design Spotlight: Outbuildings by Rotelle Studio"